Each year some the very best films from Kendal Mountain Festival are hand-picked by Porter’s Progress UK as we proudly host the Best of Kendal World Film Tour in London. 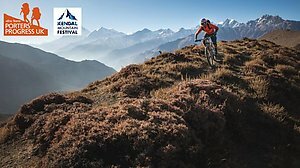 Join us and experience the essence and inspiration of Kendal Mountain Festival with a selection of the hottest action sports and adventure films - and also raise much-needed funds for some of the poorest communities in Nepal. Royal Geographical Society, 1 Kensington Gore, London SW7 2AR. Exhibition Road doors open 6 pm;. There will be a cash bar in the Map Room and a raffle of great prizes.